Skype is finally getting a call recording feature nearly after 15 years of its launch. Skype has been known for its video calls but it lacks behind its competitors due to the lack of an important feature – call recording. 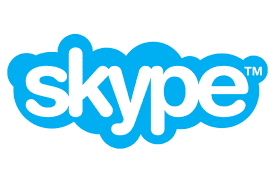 But recently, Microsoft which owns Skype announced in a blog post that the company is rolling out version 8.0 for desktops that will replace Skype version 7.0 (also known as Skype classic). The company said the new feature to record calls will roll out “later this summer” and will be available to all latest versions of Skype over time. In a blog post the company said, the new feature will be cloud-based, allowing users to access Skype call recordings across devices including Windows, Mac, iOS, Android, and even Linux. Previously, Skype users had to rely on various third-party apps to record calls like Avaer being the most popular one. Similarly, new additions to Skype that are live now include the ability to “@ mention” other parties, a gallery for media shared during conversations, and drag-and-drop sharing of files up to 300 MB. Just yesterday, we reported you that Truecaller has also introduced a new feature that lets users record calls and conversations from the app itself. On 16th July, the company introduced a new update for its Android users through which users can record both of their incoming and outcoming calls. The company says that this move will help users “report harassment related or fraudulent calls.” Previously, the feature was absent in Truecaller.